“The problem will not go away, Londoners are going to have to reduce the amount of water they use by one-third” said Ken Livingstone as he endorsed a garden at the Hamptom Court Palace flower show specially designed to live off little water. Good idea Ken, so how’s about you find the stop-tap for a few of those fountains – especially the white elephant memorial to Diana? 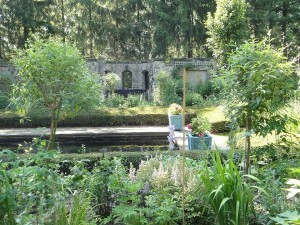 It was reported that many other gardens in the show featured ponds and waterfalls.